According to a new report, the ‘Attenborough effect’ is responsible for people reducing their single-use plastic consumption by 53 per cent. 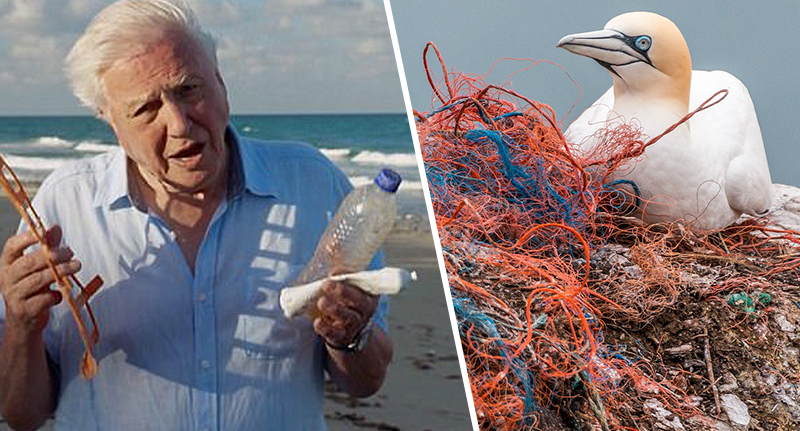 Thanks to David Attenborough and his team’s output of consistently amazing and eye-opening documentaries, campaigns and awareness-raising initiatives, consumers are doing their bit and decreasing their use of plastic products. A recent report claims over the last 12 months alone, Attenborough has had a considerable impact on the public and their consumer habits, with the majority of people now being much more considerate when buying single-use plastics or anything with plastic packaging. According to a study by GlobalWebIndex, as reported by the Metro, around 82 per cent of people surveyed in the UK say sustainable packaging is important to them as they’re concerned for the future of the environment. The study, of over 3,800 people looked into sustainable packaging in the UK and the US, with 42 per cent of people from both countries saying products which use sustainable materials are important when it comes to day-to-day purchases. In the UK, participants said their motivations behind buying sustainably-packaged products was a personal desire to be less wasteful. While another important figure emerged – as three in 10 people said they feel they still don’t have enough information about which products can and can’t be recycled. However, the study also revealed 44 per cent of women feel this way, compared with 29 per cent of men. The study also showed, as people get older, affordability becomes more important in day-to-day purchases, which can have an impact on consumer choices. For example, for those aged between 55 and 64, affordability is more important than sustainability. However, this is not the case for those aged 16-24, with the difference being 20 per cent when it comes to affordable products. The 16-24 age group are more focused on sustainability. The survey also showed this age group is more likely to be influenced by other people’s opinions, and their increased exposure to social media and television has aided the plastics revolution. As consumers do their part to help reduce plastic use, earlier this year the EU parliament voted to ban a wide-range of single-use plastics by 2021, with the ban expected to save €22 billion in environmental damages by 2030, according to Energy Live.